It’s called BEAUTY SHOP, the nation’s number one, urban comedy stage play, still to this date, holding box office records in NEW YORK, ATLANTA, DETROIT, WASHINGTON, D.C., BALTIMORE, PHILADELPHIA, HOUSTON, DALLAS, LOS ANGELES, SAN DIEGO, CHICAGO, RICHMOND, BIRMINGHAM, CHARLOTTE, NEW HAVEN, HARTFORD, COLUMBUS, PEORIA, LITTLE ROCK and NEW ORLEANS. BEAUTY SHOP is the funniest, most successful black stage play in American history. The production and its writer/producer/director, Shelly Garrett has received more than twenty-three (23) keys to various cities, including city and state proclamations. No one can explain the success of this hit production, which exploded across the country. In Atlanta, BEAUTY SHOP tickets were being scalped outside the 4,600 seat Fox Theatre for $150.00 per ticket and that was for balcony seating; all due to the two weeks of performances being SOLD OUT, before the production even reached the city. In Dallas, Texas, people stood in long lines, at the majestic Theatre for over two hours, before performance time, on opening night, hoping the box office would release some “house seats” or “producer seats.” In New York City, Baltimore, Washington, D.C., Detroit and Philadelphia, patrons stood in line for hours, IN THE SNOW, with single-digit temperatures, purchasing tickets for upcoming performances of Shelly Garrett’s BEAUTY SHOP. The setting is an urban beauty salon, based in Los Angeles. The “Pamper Me” beauty shop in presided by “Terri Fuller,” who spends more time trying to keep peace in the shop, than she does doing any hair. Then there is the wildly, crowd-pleasing favorite, “Christopher Rich”, the male and gay hairdresser. If no one ever gets their hair done during the two-act performance, many people will get their heads re-arranged, courtesy of Christopher Rich’s lip! No one gets the best of him! He verbally buries all comers during the war of gay jokes, fat jokes, short jokes, ugly jokes and all funny one-liners that fly around the shop, inhabited mostly by very well-dressed women. Plenty of trash is spoken and the body language is anything but shy. The ending of the show, which has been called a perfect “Cinderella” ending, leaves tears of happiness and joy in the eyes of the audience. Shelly Garrett’s BEAUTY SHOP makes audiences talk back to the stage. They really get involved with what’s happening up there. It is the production that makes the audience gasp for breath, holding their cramping stomachs, while laughing. Just when they thought it was safe to catch their breath, here comes another laugh-provoking scene, starting the routine all over again. Without a doubt, there is a laugh-a-minute in this show. These are NOT chuckles or giggles, but rather deep down, gut-grabbing, can’t catch your breath, types of laughter. In fact, many women have said, they are so glad when intermission comes, so they can go to the powder room, not for obvious reasons, but to clean their faces, from running make-up, due to tears of laughter. Shelly Garrett’s BEAUTY SHOP is so funny the audience is EXHAUSTED from having a good time. BEAUTY SHOP is the play all others tried to break its records, however no production has come close. People all over America have asked for its return for reasons of wanting to experience the laughter again or they didn’t get a chance to see it, because it was always SOLD OUT. 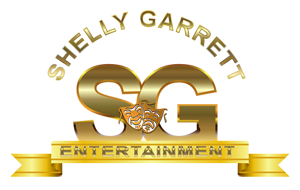 Experience the magic, anytime a Shelly Garrett Production comes to your city. You’ll be so glad you did! They are unlike any other theatre productions you’ve ever seen. Birmingham, AL - Sold Out! Mobile, AL - Sold Out! Little Rock, AR - Sold Out! Los Angeles, CA - (2 Years) - Sold Out! San Diego, CA - Sold Out! Oakland, CA - Sold Out! Denver, CO - Sold Out! New Haven, CT - Sold Out! Hartford, CT - Sold Out! Washington, D.C. - (4 Weeks) - Sold Out! Miami, FL - Sold Out! Orlando, FL - Sold Out! Jacksonville, FL - Sold Out! Pensacola, FL - Sold Out! Atlanta, GA - (2 Weeks) - Sold Out! Augusta, GA - Sold Out! Columbus, GA - Sold Out! Macon, GA - Sold Out! Chicago, IL - (3 Weeks) - Sold Out! Indianapolis, IN - Sold Out! Louisville, KY - Sold Out! New Orleans, LA - Sold Out! Lake Charles, LA - Sold Out! Baton Rouge, LA - Sold Out! Shreveport, LA - Sold Out! Boston, MA - Sold Out! Springfield, MA - Sold Out! Baltimore, MD - Sold Out! Detroit, MI - (6 Weeks) - Sold Out! Flint, MI - Sold Out! Grand Rapids, MI - Sold Out! St. Louis, MO - Sold Out! Minneapolis, MN - Sold Out! Jackson, MS - Sold Out! Charlotte, NC - Sold Out! Newark, N.J. - Sold Out! New Brunswick, NJ - Sold Out! New York City, NY - (13 Weeks) - Sold Out! Buffalo, NY - Sold Out! Cincinnati, OH - Sold Out! Cleveland, OH - Sold Out! Columbus, OH - Sold Out! Dayton, OH - Sold Out! Toledo, OH - Sold Out! Oklahoma City, OK - Sold Out! Tulsa, OK - Sold Out! Philadelphia, PA - (3 Weeks) - Sold Out! Pittsburgh, PA - Sold Out! Columbia, SC - Sold Out! Spartanburg, SC - Sold Out! Knottsville, TN - Sold Out! Memphis, TN - Sold Out! Austin, TX - Sold Out! Beaumont, TX - Sold Out! Dallas, TX - Sold Out! Houston, TX - Sold Out! San Antonio, TX - Sold Out! Norfolk, VA - Sold Out! Portsmouth, VA - Sold Out! Richmond, VA - Sold Out! Seattle, WA - Sold Out! Milwaukee, WI - Sold Out!